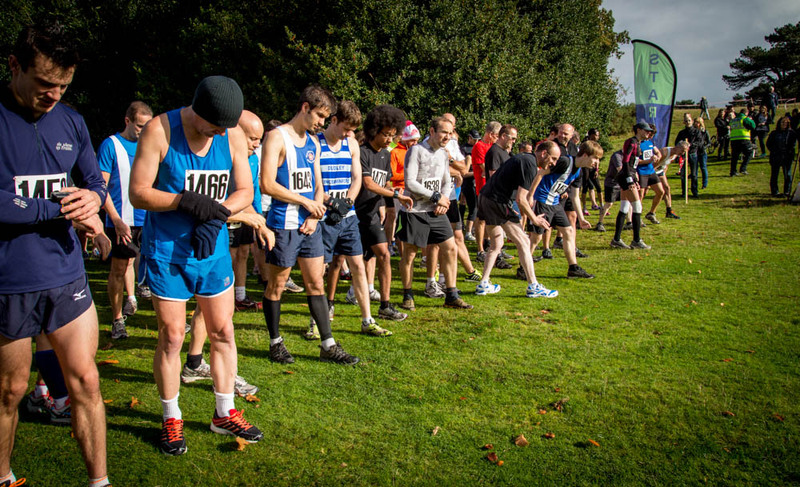 There were 3 Royal Sutton runners in the top 8 at the Cinderpath Run today. Tom Chew, who joined the club in the summer, finished in an excellent 3rd place. 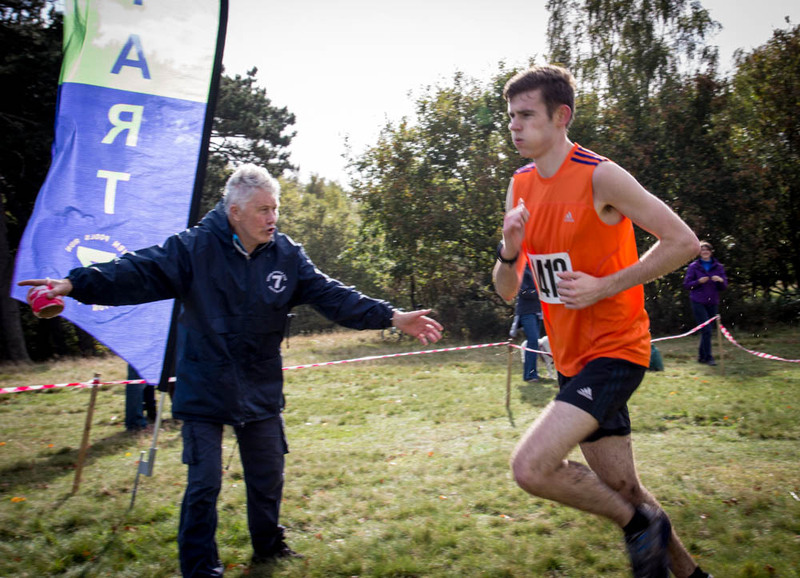 Chris Taylor finished 5th, whilst junior runner Alex Blackham had a superb run to finish 8th. Chris Taylor and Alex Blackham at the start. The full results are available here. Well done all! 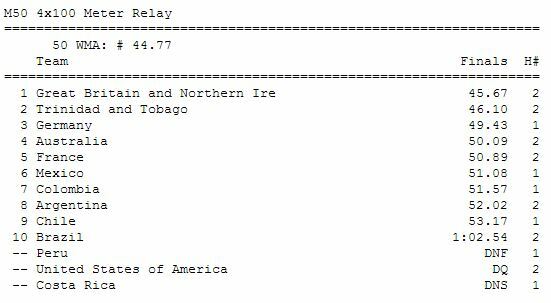 On the final day of the championships, Donald Brown won Gold with the GB 4x100m relay team, in a super-fast time of 45.67. The GB team certainly had the samba beat in their feat, as they finished ahead of Trinidad and Tobago, and Germany. Donald reports to be ‘very excited, and pleased, on cloud flippin 9’. This concludes a very successful Masters championships for club athletes, and Donald in particular. Well done Donald !! Full results of the stadium events of the 2013 World Championships can be found here. 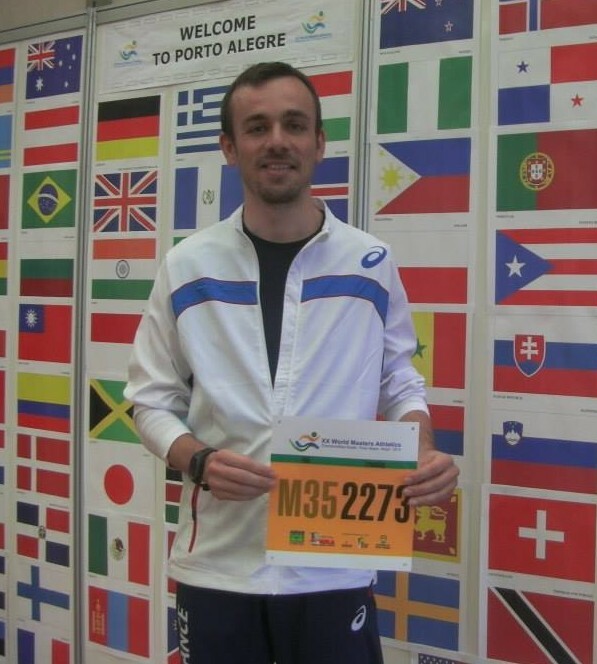 World Indoors, in Budapest (HUN) from March 25-30 2014. European Outdoors, in Izmir (TUR) from August 22-31 2014. World Outdoors will return in 2015, to be held in Lyon (FRA). Last Friday (18th Oct) was the 1st Sporthall event of the year. RSCAC did very well. After the 1st meeting, the Under 11 girls are in 1st place, the Under 11 boys in 3rd, the Under 13 boys in joint 2nd and the Under 13 girls in 5th. The Under 15s do not have team positions. It is all done on individual performance in 3 events. There were some good performances from all. The next Sportshall is Friday Nov 15th, 7.15 pm at Stockland Green Leisure Centre. WE ARE ESPECIALLY SHORT OF UNDER 15 BOYS (School Year 9 and 10). So if you are a boy in School Year 9 and 10, please email rscac@hotmail.co.uk if you can offer to compete for your club. It is a really fun competition where you do: a running event of about 150m or 300m; shot putt or speed bounce; and standing triple jump or long jump. There are also relays. 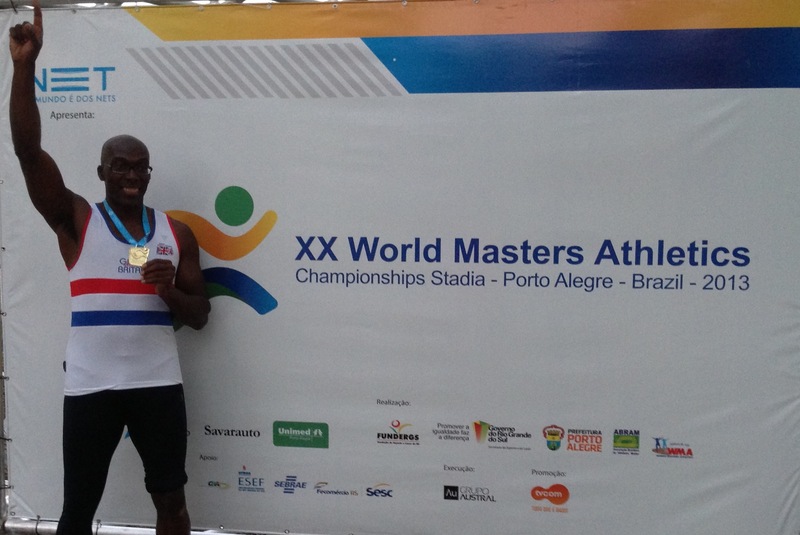 Kevin Brown added a great Bronze medal to his World Masters Championships medal haul amassed over the years. 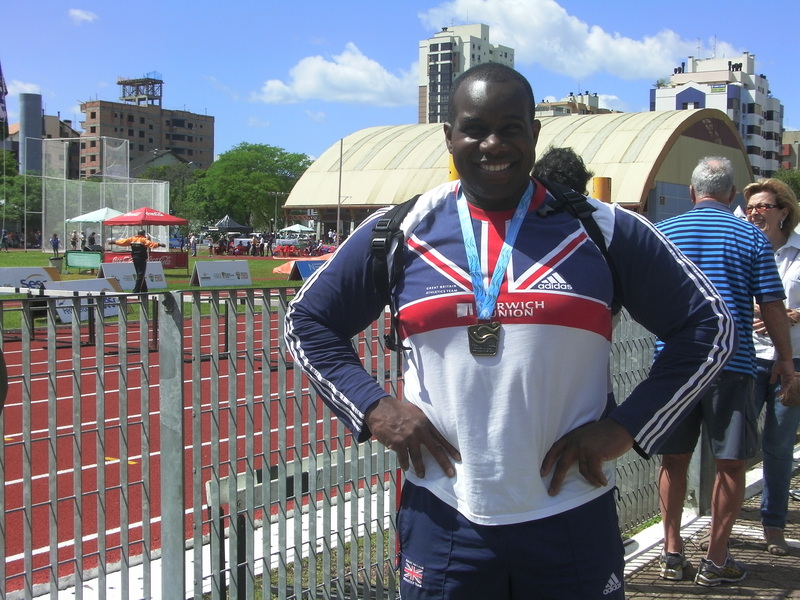 In the Final of the Discuss Throw, in torrential rain conditions, he threw 40.88m. This is another great result for the club, in this competition which is welcoming more than 4,000 athletes. 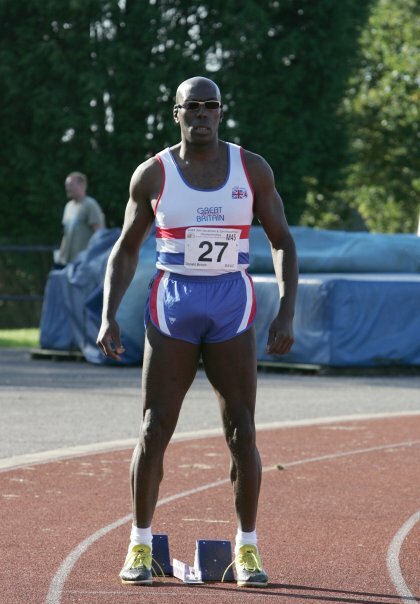 More to follow in the 200m now, where the hopes of more medals rest on the shoulders of Donald Brown. Well done Kevin for bringing the club its first medal of these championships ! 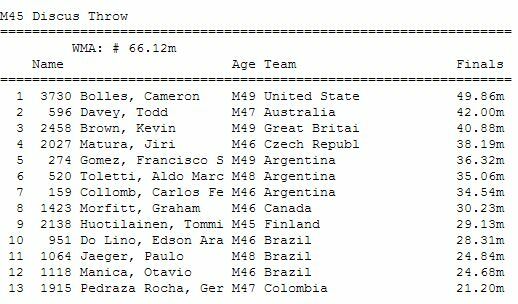 More great news from the Masters World Championships in Brazil, where Fred Tremblay finished in a fantastic 4th place in the M35 800m final. His time of 1.57.03 was a season’s best and was just outside a PB. Well done Fred!